ATOZ is a high-end independent advisory firm based in Luxembourg offering a comprehensive and integrated range of tax and corporate finance services. We advise on and deliver solutions for sophisticated local and global professional clients. With over 150 highly skilled professionals, our team has in depth experience of serving very demanding businesses and institutional clients in need of tailor made advice. ATOZ is the Luxembourg member of Taxand. 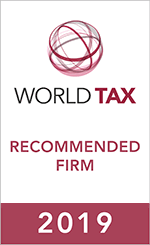 Taxand professionals – more than 400 tax partners and over 2,000 tax advisers in 50 countries – grasp both the fine points of tax and the broader strategic implications, helping you mitigate risk, manage your tax burden and drive the performance of your business.